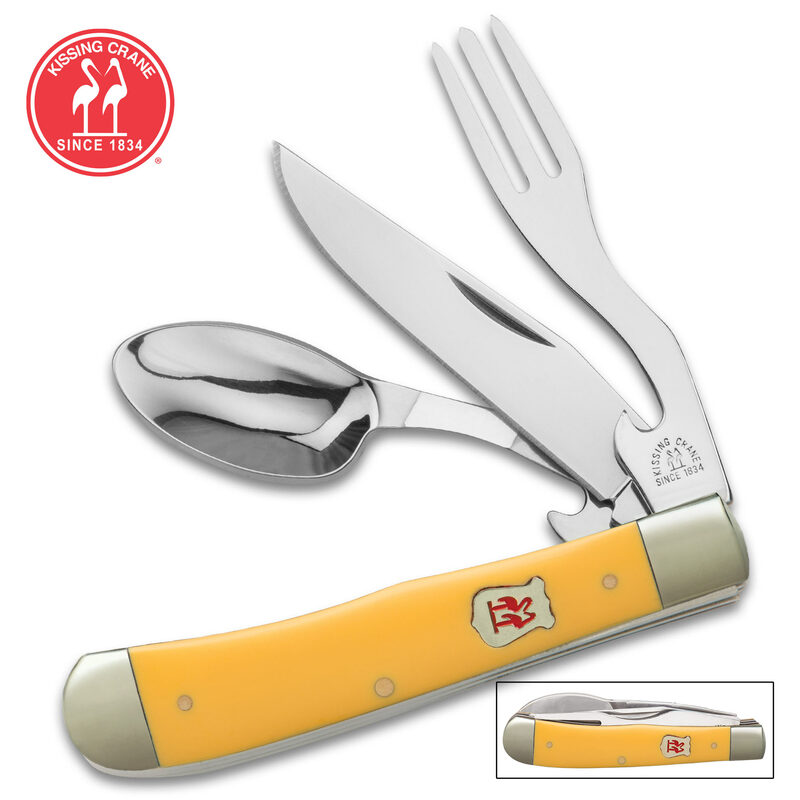 Kissing Crane Lemon Yellow Camp Dining Tool - CrMoV17 Stainless Steel, Durable Resin Handle, Spoon, Fork, Knife - Length 7 1/2” | BUDK.com - Knives & Swords At The Lowest Prices! This Kissing Crane Lemon Yellow Camp Dining Tool was carefully handcrafted by skilled artisans to create a beautiful yet functional camp dining experience. 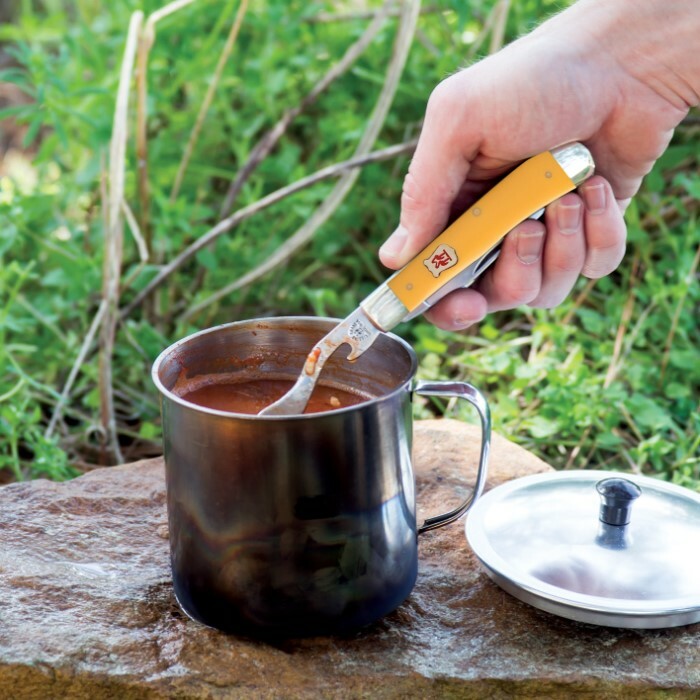 Each CrMoV17 stainless steel tool can be separated into three separate pieces by simply opening your selected utensil and pulling it apart from the interior locking mechanism. 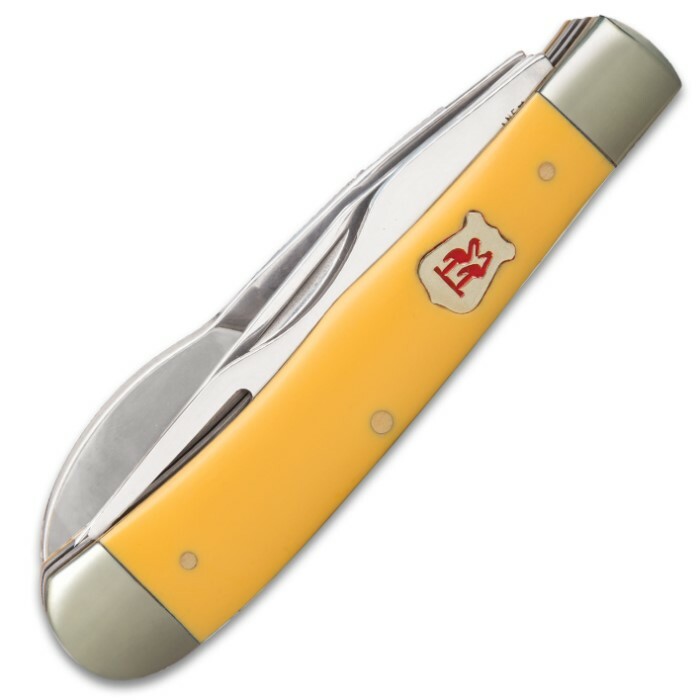 The bright yellow handle is crafted from durable and weatherproof resin that will last forever and the tool features nickel silver bolsters and pins. 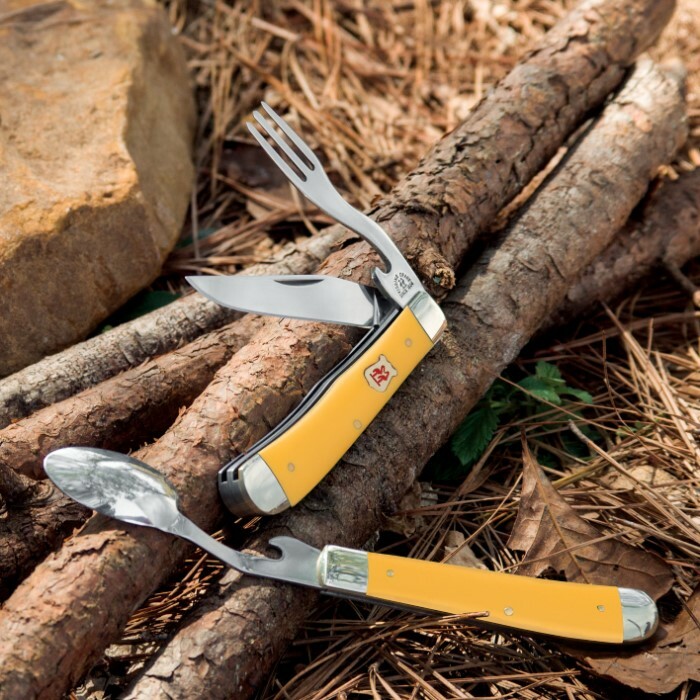 It is the perfect hiking or camping tool, because it is not only a dining tool, but also a razor-sharp pocket knife. For the money, this knife is a very well made execution of the hobo knife. It can be hard to find a hobo knife at a reasonable price with this level of quality. All 3 implements are stout and substantial. The handle separates easily and locks together strong. The fit & finish and walk & talk are excellent. This went straight into my lunch box for work. It would be a great gift for anyone who needs silverware to carry. No loose spoons and forks clanging around loosely in a lunchbox or bag. Fork & spoon both have cap lifters. Fun to use. Looks great, too.